Backing up your data is very important but there is no need to have duplicates of the same file on the same hard drive in your computer. If you want to find out more about backing up your computer you can find several articles I have written about here. Spyglass is a free windows software that scans any hard disk either internal or external and displays the files and folders stored on the hard drive. What makes Spyglass great is the way it displays the results. Spyglass uses a unique UI to display the disk scan results. The user interface makes it easy to tell what files and folders are taking up the most space on your computer. To start you will need to download and install the Spyglass software to your computer. The software is free and you can download it from the Spyglass website once you download the zip file you then extract and install the software. 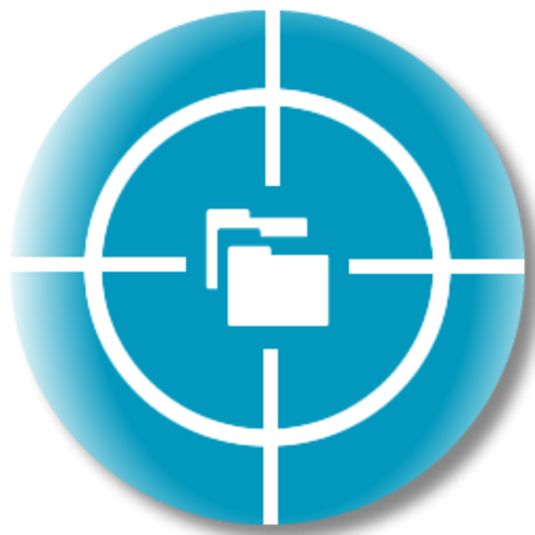 After you download and install Spyglass it is ready to analyze your hard disk. When you launch Spyglass you have the option to drag and drop a folder you want to scan into the application or you can manually choose what to scan. It is recommended to scan large folders instead of the entire hard drive because of the length of time it takes to scan an entire hard drive. To scan an entire hard drive you can click the plus and manually choose the hard drive you want to scan. Depending on the size of the hard drive it can display a pie chart of the different files on the hard drive or in the folder. This display makes it easy to find the large files and folders on your computer. The chart displays is the coolest way I have seen to show the files and file sizes on your computer. The company calls the view sunburst view and I can see why it has been named sunburst. 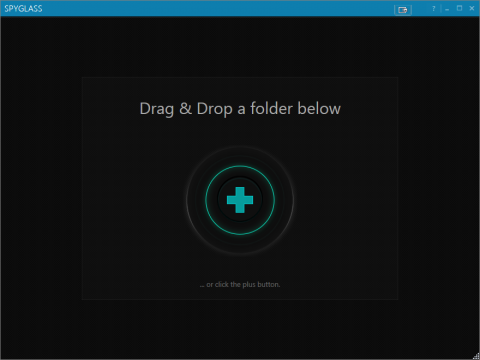 You can see the details about a file or a folder by hovering your mouse over an arc. 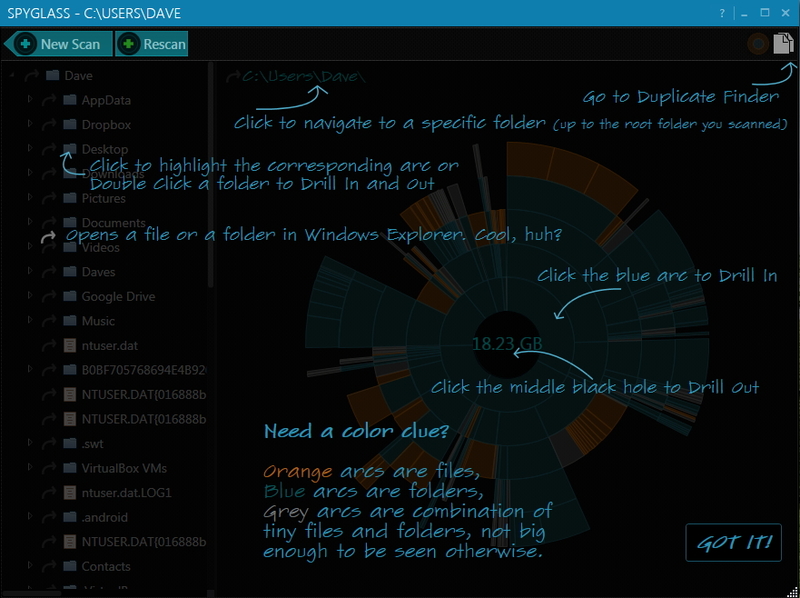 The blue arcs represent folders, the orange arcs represent files, and the gray arcs are combined files and folders that are very small. The File Navigation Bar on the left shows all the files and folders in a tree structure. Select a folder or a file to highlight the corresponding arc on the Sunburst View. You can also double click a folder to see what is inside the folder and double click it again to go back out of the folder. 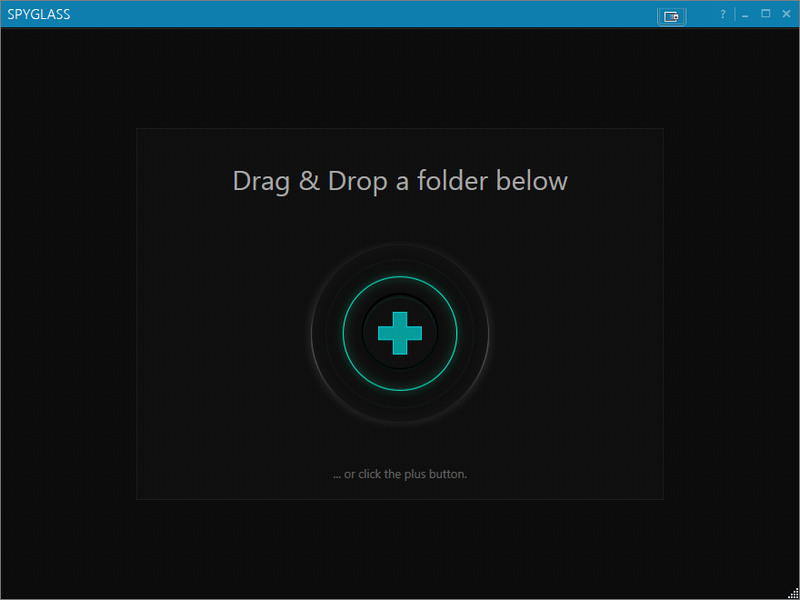 Spyglass scans your hard drive or folder in 2 stages; first it scans to get basic information on the size of the files and folders on the disk. 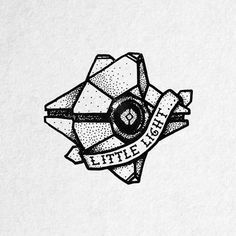 It then displays that information in the sunburst view. The second stage is to scan the files and folders for duplicates. This scan starts when the sunburst view is displayed and you can see the status up at the top. This scan takes longer than the initial scan and depending on how many files are being scanned it can take a long time. Once the duplicate scan finished you can toggle between the sunburst view and the duplicates view. Once in the duplicates view you see all the files that have duplicates in a list on the left side. 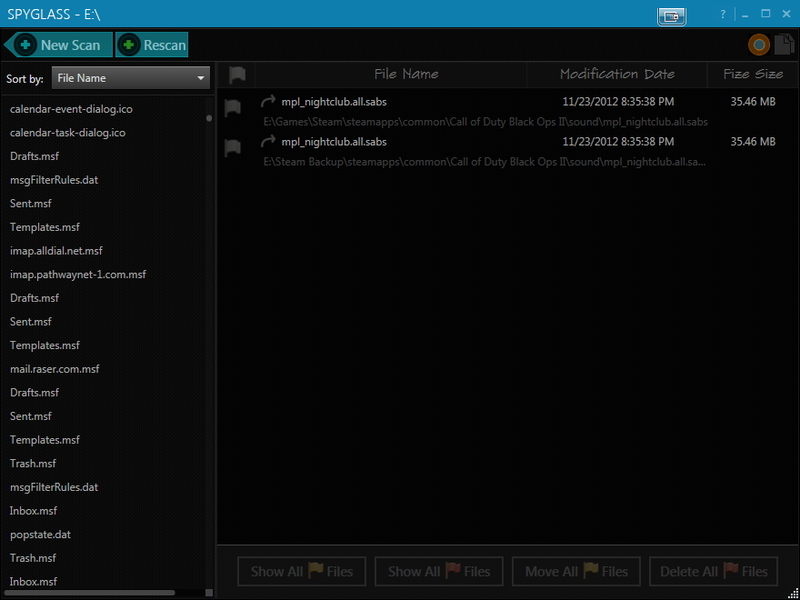 You can sort the files based on File Name, File Size, File Modification Date, and Duplicate Count. I think it is best to view the duplicate files by size because that is the most important aspect in finding and removing duplicate files on your hard drive. In the duplicates view you can view the file in explorer and either move the duplicate file or delete it. To make it easier the software allows you to flag files red or yellow and then you can view, move, or delete all the yellow of red flagged files. 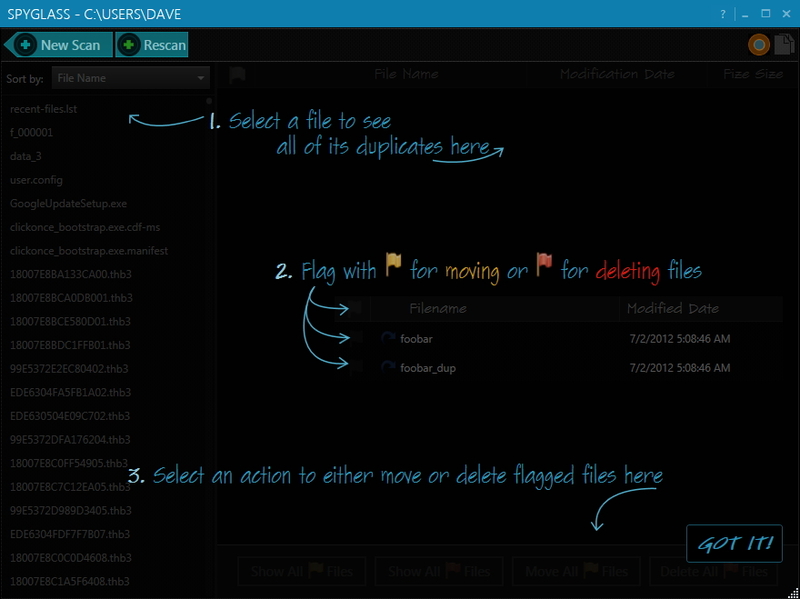 This makes it so much easier to remove duplicates files instead of going through explorer and sending the files to the recycle bin. Spyglass is one of many different applications that work with files. I think the different user interface that Spyglass has makes it easy and enjoyable to use. The ability to find and quickly remove duplicate files can save you time and the headache of trying to manually delete all of your duplicate files. If you are looking to find out what files on your hard drive are duplicates this application is a great place to start. I request you to review Ashisoft Free Duplicate File Finder which got 5 star ratings from cNet and all major download websites. It’s a easy tool to use. Very useful information. Such type of software will be very useful at the time when we needs to find an accurate and useful data from big databases.